The NBC Win $7,000.00 A Week For Life Sweepstakes ($7,000.00 A-Week-For-Life SuperPrize Giveaway No. 11000) is open to U.S. and Canadian (void in the province of Québec) residents who are physically located and residing within their respective country of residence. The NBC Win $7,000.00 A Week For Life Sweepstakes ends on December 12. Enter for free. To enter to the $7,000.00 A-Week-For-Life Sweepstakes visit pch.com to complete the entry process. A limit of one online entry per day is allowed per individual and per e-mail address. Prizes will be paid as follows: If the matching winning number for our Special Early Look SuperPrize Event from Giveaway No. 11000 is assigned to a timely entrant from this Promotion the winner will receive $7,000.00 A-Week-For-Life with a guaranteed minimum of $1,000,000.00. Win a $1,000,000.00 prize in a Second Chance Drawing from Giveaway No. 11000 and you will receive $25,000.00 a year for 29 years, and a final payment of $275,000.00 in the 30th year. Periodic payments may be paid in advance for up to one year, for any year during which such periodic payments are due to be made. You will also be fully eligible to win a guaranteed $1 Million SuperPrize in a Second Chance Drawing if the matching winning number for this Special Early Look SuperPrize Event is not returned or is ineligible. I would take any amount given to me. It would be a dream come true. I also would like to enter my winning numbers for pch gwy 8924 and any other prizes that go along with this entry see you in seattle prize patrol.. I, H J Hyde, want to win $7000.00 a week for life + $10,000.00 cash on February 23rd, 2018. I am claiming the search#3 to win 7,000 a week for life superprize, plus a 10,000 cash blowout from gwy # 12361 on December 21. Thank you P.C.H. For letting me enter this sweepstakes 7,000.00 a week is a lot of money I would be debt free, I could help my family but most of all I could help the Vets and Homeless. grandmagoose, it be a great gift for someone I want to wish all the contestants good luck I to want to win but i am not holding my breath , well okay my fingers are crossed. I would love to win 7,000.00 a week for life so I can help the hungry and homeless people in the little kids to I don’t have much but I try to give what I can to them. I know what it’s like to go hungry without food or shelter I was there at one time. Thank you very much sincerely Phyllis. I want to be fully comitted to be able to win this superprize of 7,000 a week for life that i will give my all- all tell that great day when the prize patrol knock on my door. I would like to be the owner of 7,000 a week for life, plus 10,000 cash blowout from gwy # 12361 on December. 21. I want to search #4 to enter to win 7,000 a week for life, plus 10,000 cash blowout from gwy # 12361 on December 21 during this special early look event. I want to search now to enter immediate action to win 7,000 a week for life superprize gwy # 13000 during this special early look event on 4/26/19. I would like to win , I have did so many search and win that I am glad they will be over. I really want to win but don’t feel very lucky. Yes I would love to be able to Breath and not worry where my next paycheck will come from. and get my family back to Louisiana, and out of Las Vegas. For once I would like to be the hero. Thank God it is Real. THIS IS WHAT I DREAM OF DaY AND NIGHT” PCH I WANT TO WIN” GWY 6900 $5,000.00 A WEEK ” FOREVER” TO WIN THIS WILL HELP ME CARE FOR MY FAMILY WHILE MY SISTER HAS CANCER TREATMENTS. I AM DISABLED AND DO MY BEST” BUT THAT IS NOT ALWAYS GOOD ENOUGH. PLEASE PCH/ HELP ME BE FINANCIALLY ABLE TO PAY THE BILLS AND CARE FOR MY FAMILY. PCH search Now please @ PCHSearch&Win to win $5,000.00 A Week “Forever” from PCH 6900 on february 24th,2017, then after that, the payments would continue onto a special someone the winner chooses for their life. i would like very very much to win $7,000.00 a week for life. All of us have to be either crazy or stupid. There is an old saying that a drowning man catches at any straw. Maybe we are drowning in debts. (I know that I am). So we grab at these straws that are offered. As such, we end up with nothing! I have been entering these give a ways and sweepstakes offered by PCH since the 1980’s, to this date, I have not won a dime! I am still playing, but without hope. Looks like a hoax to me. Besides, I have never seen a truck nor van delivering the big cheque advertised over and over. You never know, we all might be wasting our time. If there is any truth in these promises, may one of your names come up a winner pretty soon. But me, I give up! I,Robert would like to claim 7,000.00awk forlife to win on Dec 21 2018 from gwy 12348 vip, elite, pch, exclusive, Thanks vip, elite, pch, exclusive Robert Dec 18 2018 #3 9:00a.m. I would like to win $5,000 a week for life if possible. I would love to win the $5000 a week for life so I can care for my family. Since my son had a stroke it’s been hard to make ends meet.. That would help alot if I could win..
Ready to win 7,000 for life here’s the PCH Gwy # 13000. God yes please help me. I read your paragraph on what has happened to you, it’s awful but you’ll live to battle on. My youngest son of two also fell 30 feet and broke both legs, tore his achilles tendon in half but lived. He was in awful pain and asked his Dr. for some more pain killers and was declined saying that they could become addictive. My son took it upon himself to acquire the much needed pills. He died two days later from an overdose. I want to win 7,000.00 plus 10,000.00 am ready to win in April 2017/ PCH Prize Patrol am ready for you all. I would love to win on it been trying for fifty years. 9.5.18 hoping to be a winner a year later with the same number . Entering PCH for 7000 a week for life PCH GWY number is 8800 It would be a blessing to win some money.. I don’t have.. It would be a shocking to win the $7,000.00 weekly for life. I would count my blessing for this. Thank you PCH for changing lives. Louise Lampley pch i really truly want to win i am entering all of my prize number 8800,8186,8035;8187 i like to win it all even the extra 7,000 4/28/2017. I am in too WIN it. I would like to be entered to win $7,00 a week for life. I really could use the help to help my daughter recover. I would like to be able to enter 7,000.00 a week for life from pch gwy no.8800. I really want to win. PCH I would love to win and have the patrol knock at my door with joy! GWY # is 8800. $7,000.00 a week for life 8800 YO QUIERO CON ESTE DINERO PRIMERO UNA VIDA SIN FIN, terminar con el dolor,hambre,enfermedades,odio,muerte,colmar este mundo de amor,7,000,000 no ningun numero ni poder humano! SOLO DIOS! I WOULD TO WIN 7,000.00 A WEEK FOR LIFE GWY.NO.8800 50,000.00 CASH GWY.NO8186 8035 1 MILLION SUPER PRIZE GWY.NO8035 15,000.00 HOME MAKEOVER GWY.NO.8187 100,000.00 VIP SUPER PRIZE 8724. PCH I’m in this Sweepstake to Win Gwy. No.8800 $7,000.00 a week for life Thank for giving me Hope!!! i WOULD LIKE TO CLAIM GWY NO 8800 $7,000.00 FOR LIFE ON APRIL 28TH PCH THANK YOU AND NBC. It would be shocking to be select to win the $7,000.00 weekly sweep stake. It’s God’s miracle blessing if it happens. Bless PCH for helping so many people. It would be shocking to be select as the winner of $7,000.00 weekly sweep stake. It’s God’s miracle blessing if it does happen. Bless PCH for helping so many lives. I would love to win $7,000.00 a week for life Gwy. No. 8800. It would truly be a blessing for my family and the answer to all our problems.I would be able to afford to go to my heart specialist and get back on my meds which I can’t afford at the present time. Winning a $7,000.00 a week for life would truly help me to life on. Any other winning will be helped. pch i louise lampley would like to win $7000 a week set for life on 4/28/2017 and i hope and pray that i won from gwy#8800,8186,8187 and whatever i,m just so excited i,m just beleiving that GOD going to let me win by his help Amen. I have been playing PCH since 1993 and would love to win this money to use for an operation on my husband’s knees because Medicare doesn’t cover everything. It would to an answer to my prayers. PCH Follow the steam & search Now To Enter @ PCHFrontPage $7,000.00 A Week For Life on 4/28th/17 from Gwvy. No. 88OO! ‘Set Free For Life’. thanks PCH! An I want to claim the 100. $ b.g. PCH I claim to win @ PCHFrontpage Prize Patrol search today could win from PCH GVWY. No. 8800/ $7,000.00 A Week For Life on April/28th/2017. Thank you PCH! Sweet 7,000 for life gwy no.8800 don’t waste no more time come on home,we are ready to celebrate. YES<YES<YES I want to win for sure!!!! i would like to enter and win 7000 a week for life on april 28th.i’m responding your notices you send for me for a special early look. thank you again for including me pch prontpage in your list for eligible to win a set for life. dear pch im claiming my number super prize entry for life. thank you. My brother and I are physically disabled and would really put this sweepstakes to good use. To be able to win #8800 for $7,000.00 per week would completely change my life and make your bill a payable entity. If you find another winning number I would enjoy that one also. THEY HAVE ALL BEEN ENTERED, ACTIVATED AND CLAIMED AND COMPLETED! Yes! I want to win the Lifetime Prize Upgrade if I’m eligible to $7,000.00 Every Week For Life to be award April 28, 2017. I want to win $7000 a week for life on PCH GWY 8800. Thank you Prize Patrol, Thank you God!! I sure want too win $ 7,000 .00 for life . may GOD BLESS EVERY ONE N GOOD LUCK . I’d like to sudmit an entry for the Pch, $7,000 a week for life sweepstakes gwy#8800. To Pch, I’m writing to you so that I’d de entered for another opportunity to win $7,000 a week for life gwy#8800. PCHFRONTPAGE>7,000.00 AWEEK FOR LIFE PCH GWY#8800 ON 4\28\17PLUS SUPERPRIZE 1,000,00.00 >LET’S GET IT ON. winner immienit selection list thank you pch. I would love to win the PCH $7,000.00 for life as I have my wife who has just gone through ovarian Cancer and is in remission. It is my dream to take her on a world cruise and ,as her 57 year old Husband I could then finally retire from my job so that I could spend the rest of my life with her. I want to win and welcome you to my house on the $7000 a week for life PCH GWY 8800! I’m in it to win it. Please enter me and see you April 28!! The Prize Patrol is prepared to award $7,OOO.OO A Week For Life on April 28th, and they could be headed to 4645 La Rue St! But you have to Search Now to activate a prize number from this notice for this special early look event from PCH Gwy. No. 88OO. If your prize number is selected as the Lifetime Prize Winner, you could meet the Prize Patrol, including our newest member Howie Guja! Danny, when a winning opportunity knocks, will you answer? Head to PCHFrontpage and Search Now. And the next time you hear someone knocking at your door, it could be the Prize Patrol surprising YOU with a “Big Check” for $7,OOO.OO A Week For Life! Please note a matching winning number must be timely registered, or an alternate base prize winner will be selected instead. I want to win $7,000.00 in PCH. PCH search Now please @ PCHFrontPage to win $7,000.00 a Week For Life Is At Stake will come to knocking at 1783 nw. PCH search now to win 20 A New …is guaranteed Instantly-Cash Prize winners By 11:59 PM, Et @ PCHSearch&Win. Plus, $5,000 a Week for Life Sweepstakes Sweepstakes Gvwy. no.6900 (New Gvwy No. 8800)on 4/28th/2017. Winner may elect to take a lump-sum payout in lieu of all weekly payments with this SuperPrize. Thanks PCH! My name is Jaime Kalani pch frontpage to Winner Claim to being chosen for Certificate of Title for 7,000 a week for life prize patrol authorized confirmed with all prizes included To the best will may be granted Thee Ultimate Title Thankyou Jaime Valerie-ann Mealoha Kalani. I think I could do a lot if I could win the $7,000.00 a week for life prize. Get my eye lids lifted, get some new teeth, Get a riding scooter so I could go see my kids play sports, problems walking across the grass. Then there are a hand full of other things that I could do. Winning $7,000.00 A Week For Life would be a dream come true and the answer to all of my prayers.First thing I would do is find a heart specialist, Second thing would be to get my car back to where it should be so much to be done on it.I would also like to get my girls out of the bad neighborhoods their living in. So much I could do with this money. I am entering for a chance to win $7,000.00 a week for life on April 28th Gwy#8800, give me that opportunity to be the winner. I’m claiming my entry for $7,000.00 a week for life PCH Gwy. No.8800. Yes, I want to win !! PCH Submit my entry please,its time to get paid,playing the Greatest Game Publishers Clearing House of America…. I would like to win #8800 for life GWY from PCH thank you for all the games, thank you for this opportunity. Looking at winning the $7,000.00 a week for life sweepstakes from PCH Lucky #8800 on April 28, 2017. Knock, Knock, come on in guys, happy to see you. I would love to win GWY # 8800 for $7000.00 for life on the 28th o April 2017 ! Love to win GWY # 8800 for $7000.00 for life on the 28th of April 2017 ! God Bless all of you @ PCH & I sure could use the money before any thing happens to me so I can pay off some of my bills ! Thank you All ! I never say I have to win but I really need this right now. I would love to be out of debt and I am dying. Not sure when but does anyone…Would love to have my family remember me for something other than worthless. Every worthy causes begins with dreams. Dreams require efforts and sweat putting shoulders to the wheel push along. I need not repeat needs as you’re well aware of. Again, Happy Day! I feel LUCKY today Win $7,000.00 A WEEK FORLIFE! PCH Search Now please @ PCHSearch&Win I want to win At Stake $7,000.00 A Week For Life from PCH GVWY. No.8800 on April 28th/2017! I HOPE I AM ON YOUR WINNER LIST FOR THE $7,000.00 A WEEK FOR LIFE ON APRIL 28 2017. I would love to win the PCH giveaway #8800 on April 28, 2017 for $7,000.00 a week for life. It would be truly amazing and make an absolutely magnificent and wonderful day with many of those days to follow. I am back wishing myself and others the very best of winning the $7,000,00 a week for life on April 28, 2017 #8800. I am sure that we could all use the win in a very good way; what a proud moment this is going to be for someone. Thank you PCH for offering this Sweepstakes. Hi Prize Patrol – I’m so ready to see you on April 28!!! I am so blessed to win $7000 a week for life in PCH GWY 8800. Thank you so much! Thank you God! I am so open to receive and wish everyone abundance as well! I would love to win $7,000.00 A Week For Life Gwy. No. 8800 from PCH and have the prize patrol knock on my door.Please activate my entry Gwy.8800. I’m the next PCH WINNER OF $7,000.00 A WEEK FOR LIFE ON APRIL 28TH! PCH Last Day To Enter @ PCHSearch&Win search Now to Activate Entry! $7,000.00 A Week For Life Authorized For Award and I could win on 4/28th/2017 from PCH GVWY. No.8800. Thanks PCH! Entering to win the pch gwy #8800 of $7,000.00 a week for life April 28, 2017. The day is approaching and it will be a great blessing to experience being the recipient. Counting my needs and they are many and huge. It seems everyone has the same dream of winning. I just want to add that I believe in work and faith; for example, rowing a canoe or a little boat take both hands to run straight and make it to one’s destination. If, however, only one hand rows, the boat goes in circle and he/she won’t arrive where he/she aims for. I have put in my share of both hands and I look forward to the end of the race. It will be a comfort to know that I have done my share and the rest is someone else’s. Winning the PCH 2017 GWY #8800 would be a blessing not only for me and my family but for many others. I would make sure people in need and charities would benefit. That is my mission. Thank You!! I would like to enter my 5x entries to win $7,000.00 a week for life pch no.8800. Last day last notice. Thank you for your time. This is Paula Baxter THANK you pch members for giving me an opportunities win every since 2005 very, very excited and the high power. Hello Pch, I would love to be entered for the $7,000 a week for lifegwy #8800 and up to $50,000 cash bonusgwy#8802. I most certainly would love to sudmit my entry for both of these cash prizes from Pch. $7,000 a week for life gwy#8800 and up to $50,000 cash prize#8802 I’d like to be sudmitted. Both of these cash prizes are great for the opportunity to receive: Pch $7,000 a week for life gwy#8800 and up to $50,000 cash bonus gwy#8802. I am entering to win $7,000.00 a week for life plus $10,000.00 cash. Yes, definitely, I would love to receive both of these funds. Thank you. PCH please Search Now to claim my PRIZE NUMBER eligible entry ‘OWNER’s Certificate’ for a valid Number to win a $ 2.000.000.00 PLUS MORE @ PCHFrontpage from PCH Gvwy No. 8800 on 6/30/ 2017.Thanks. I, WOULD LOVE TO WIN IT ALL. Want to WIN $ 7,000.00 A WEEK FOR LIFE. SWEEPSTAKES PCH GWY. NO.8800. PCHPlay&Win I claim to drive around Boca! Act Now! I could win ‘A Brand New Mustang from @ PCHSearch&Win Plus please search now and I could win $10,000.00 towards GAS & MAINTENANCE from PCHSearch&WIn. Win a Stunning New Convertible, valued at $31, 980,00 from PCH GVWY. No. 8186. deadline 6/30/2017 (11:59 PM). Thank you PCH. I Edward Yeck am claiming my entries into pch gays 8800 and 8802.. Thank you pch..
NBC WIN $7,000.00 A WEEK FOR LIFE Sweepstakes. Claim my entry for $7,000.00 A WEEK FOR LIFE + $10,000.00 CASH. Want to WIN BOTH PCH GWY. NO. 8800 PCH GWY. NO. 8186. I Would love to win I have been playing these games for a while but even if I do not win it is still exciting to play. FERMIN MARENGO FROM WEST MELBOURNE, FLORIDA SUBMITTING ENTRY TO WIN $7 THOUSANDS A WEEK FOR LIFE AND ALSO, THREE ENTRIES TO WIN $5,OOO.OO A Week FOR LIFE IN GIVEAWAYS NO. 8800 AND 8186. MAKE ME A WINNER BEFORE THE YEAR 2017 IS OVER. THANK YOU PCH. I’M ALIVE FOR THE SUPER PRIZE!!!! I’M IN IT TO WIN IT!!!! 1. ONE THOUSAND, 2. ONE THOUSAND, 3. ONE THOUSAND… PLEASE PUBLISHERS CLEARING HOUSE MAKE THIS DREAM COME TRUE!! I’M ALIVE FOR THE SUPER PRIZE!!! I’M IN IT TO WIN IT!!! I really want to win gwy 8800 1,000 a day for life. And And any bonuses I have, 8802 50,000 cash. 7,000 a week for life!! I’M ALIVE FOR THE SUPER PRIZE!!! I’M IN IT TO WIN IT!!! WIN $7,000.OO A WEEK FOR LIFE + $10,OOO.00 CASH! THIS IS THE YEAR OF MY LORDS FAVOR, FOR I SHALL LIVE A LIFE OFF ABUNDANCE AND MERCY, I WILL BE THE HEAD AND NOT THE TAIL, A LENDER AND NOT A BORROWER, I WILL HAVE BLESSINGS POURING OUT, RAINING DOWN, UNCONTAINABLE , FOR THIS SWEEPSTAKES SHALL BE MINE, BY THE MERCYS OF OUR GOD!!!! I’m claiming my chance to UNLOCK THE VAULT! I’m here to win 2.6 Million PLus $5,000.00 A Week For Life! PCH Gwy. No. 8800 December 22nd, 2017 I Want To Win! I’m Ready To Win! I’m Ready To Open The Vault and claim 2.6 Million Plus $5,000.00 A Week For Life from PCH Gwy. No. 8800 December 22nd, 2017. I Want To Win! I’m Ready To Win! I’m coming in for a landing to claim my chance to unlock the PCH Vault to win $2.6 Million Plus $5,000.00 A Week For Life! Please activate my SuperPrize Number! I’m claiming my SuperPrize Number. I Want To Win! I’m Ready To Win! PCH Gwy. No. 8800 December 22nd, 2017. PCHfrontpage yes I wish that I win $7,000.00 A Week For Life on 4/26/19 and being so much money I will help some of those who need help like myself. PCH Exclusive Opportunity #4, $5,000.00 Exclusive cash prize from limited. I want to win opportunity #4. If I win I can help a lot of people that are in need. PCH gwy #8800 Last Day to Enter/Final Count Down $2,600,000.00 plus $5,000.00 a week for life Super Prize. I want claim the Last day to enter/Final Count down to win $2,600,000.00 plus $5,000.00 a week for life, special early look 12/22/17. I want to win this prize. I’m waiting for PCH patrol car to Lewisburg PA. I have played this seem like forever and have ordered nearly everything on the list and would like to WIN THE $5,000.00 “FOREVER” ON FEB.23 AND BE IN GOOD STANDING WITH PCH.I WOULD LOVE TO SEE THE PRIZE PATROL GUYS AT MY DOOR FOR A CHANGE, I HAVE CANCER AND IS GOING THROUGH CHEMO. AND WOULD LOVE IT IF YOU ALL WOULD VISIT MY HOUSE FOR A CHANCE. I would Love To Be A Big Winner and See You Knock At My Door PCH. Dear Lord help me win for life it would be very helpful for me and my family. ENTER TO WIN $7,000.00 A WEEKFOR LIFE. I GIVE AUTHORIZATION TO PCH TO ACTIVATE MY ENTRIES TO WIN. I Give Anything to WIN 7,000 A Week For Life. It really would help Me Out Since I Am Disabled. PCH and Staff You Guys Are The Best I Hope I See You In Philadelphia in April. PCH, please Pick Me For The 7,000 A Week For Life. I Am Claiming The 7,000 A Week For Life in April. I Am Claiming The 7,000 A Week For Life . Yes PCH I Hope You Pick Me As The Winner for 7,000 A Week For Life. I Am Disabled and Need to Pay My Mortgage Off and Small Loan Off and Want To Help My Family. Please enter my entry to win $7,000.00 a week for life plus a $50,000.00 cash bonus. Thanks Pch! FINAL STEP I want to claim sole and rightful ownership of said Prize Number and full eligibility to win $7,000.00 A Week For Life GWY#11000 and all Prize monies it may win for its owner on Aoril 27th. Elizabeth Boney, Yes I would love to be the winner of the $7,000.00 a week on 4/27/18. Hello dear PCH please confirm my entries for l really want to win this $7,000.00 a week for life Gwy no 11000 On 27th April. . Please please. I really need help. Thanks PCH. God bless you guys for me. Hello dear PCH please please l really want to win please. I Love To Win 7 Exclusive Prizes 7,000 A Week For Life PCH. Hello dear I’m searching for a chance to win this $7,000.00 a week for life Gwy no 11000 on April 27th. Thanks PCH. Please I really want to win. Please enter my entry to win $7,000.00 a week for life. Thanks Pch! Hello dear PCH . . Please confirm my entry l want to win this $7,000.00 Gwy no 11000 on April 27th . Please l really want to win to come out of this bad situation. Please help me. Thanks PCH. Hello good morning dear PCH: , please what can l do to win this $7,000.00 a week for life Gwy no 11000 .on this April 27th. Thanks PCH. Hello dear PCH , please confirm my entry, l would love to win $7,000.00 a week for life Gwy no 11000. On April 27th . Dear PCH please, l want to win this award this time please please PCH. Thank you guys so much. Please enter my entry to win $7,000.00 a week for life this would totally be a blessing for my family. Thanks! I Would Love To Be A 7,000 A Week For Life Winner PCH. I Am Claiming The Triple Seven Entries. PCHFrontpage I want to claim and activate my entries to win $7,000.00 A Week For Life GWY#11000 Could Be Delivered Prize Patrol my Home on April 27th. I would certainly love to win $7,000.00 a week for life. Yes, I want to Win PCH $7,000.00 a week for Life, with God’s Blessings to be this Big Winner. To Help lots of People. First of All, fall down on my Knees and Thank the Almighty for his Blessings. 2nd Help my Family; 3rd Remodel the Oakland Hall, bring back the Cotton Club Dates, people over 30; 4th Remodel Antioch Senior Center Kitchen/Dining/Waiting Areas; 4th My Father’s Church in Vacaville Day Care in his Name, for Low Single Parents, working for minimum wages; 5th My Self a Family Home and 6th Give Thanks to the Almighty Lord God Again for this Blessings. Also, wanted to add, 7th Give Thanks to the Almighty Lord God Again for this Blessings and for PCH picking me as there Big Winner of $7,000.00 a week for Life. My 6th should have been, I am a Breast Cancer Survivor of 19 Years. To, Build a Breast Cancer of America here in the West Area, they All Back East and South: Atlanta, Georgia; Chicago, Illinois Philadelphia, Pennsylvania, Phoenix, Arizona and Tulsa, Oklahoma. Would like Antioch or Stockton, California, lots of Land to Develop for a Cancer Treatment Center of America, to talk with the Land Developers. Hello dear PCH. Thanks please confirm my entry number l want to win this prize $7,000.00 a week for life Gwy no 11000 on April 27th. Thanks PCH. Hello PCH dear, l would love to win this $7,000.00 a week for life Gwy no 11000 On April 27th. Thanks PCH. Thanks PCH. Hello dear PCH l’m claiming my prize number in my name to be definitely deposited on the winning selection list today. So I’m searching to enter to win this $7,000.00 a week for life Gwy no 11000 on April 27th. Thanks PCH for l really want to win this prize opportunity. God bless. PCHFrontpage I’m claiming and activate my entries to win $7,000.00 A Week For Life GWY#11000 “SET FOR LIFE” Prize Payment agreement on April 27th. I truly wants to win $7,000.00 a seek for life! Hello dear PCH I’m claiming a valid number eligible to win this $7,000.00 a week for life GWY no 11000 on April 27th. Thanks PCH. Entering my entry to win $7,000.00 a week for life. Thanks! My name is Shelby J Peto and I am claiming and activate my entries to win the $50000 cash bonus plus the $7000 a week for life GWY #11000 to be given away on April 27th 2018. I have been a faithful customer for around 10 years and purchased alot of your orders. I could use the money very much..
Dear PCH confirm my prize number for l want to win this $7,000.00 a week for life Gwy no 11000 on April 27th. Thanks PCH. I would love to win $ 7,000.00 a week for life in April. I get excited just thinking about winning. For all the good it would do for my family there is another thing that is dear to my heart is helping STJUDE’ Childrens hospital.I have a great grand daughter That may have to depend on them one day. I say what is very dear to me when I think about winning. So of course I would love to win just like everyone else. Been having computer trouble no one seems to want to help get it cleared up. I am a big fan of PCH. Please enter my entry to win $7,000.00 a week for life. Thank you! PLEASE ACCEPT MY ENTRY SO I CAN WIN THE PCH $7,000.00 A WEEK FOR LIFE & PCH GWY 11000 THANK YOU. Hello dear PCH I would love to claim a fully valid number to win this opportunity $7,000.00 on April 27th. Thanks PCH. Hello dear PCH I’m searching to complete my final step from this very notice that could make me win this opportunity for $7,000.00 a week for life Gwy no 11000 on April 27th . I’m claiming my today’s prize opportunities to win for life. Thanks PCH for everything. Hello dear PCH please confirm my entry number to win this prize $7,000.00 a week for life Gwy no 11000 on April 27th. Thanks PCH .l accept the prize number. Thanks again. Hello dear PCH I’m entering Claim this $7,000.00 a week for life Gwy no 11000 On April 27th . Thanks PCH. Hello dear PCH would love to win this $7,000.00 a week for life Gwy no 11000 On April 27th. Thanks PCH. Yes I would love to be the winner of the $7,000.00 a week for life on April 27. Hello dear I please confirm my number entry I will like to win this $7,000.00 a week for life Gwy no 12000 on April 27th. Thanks PCH. It would be FANTASTIC in I WON $7,000.00 A WEEK FOR LIFE + $10,000.00 CASH! Hope to see PCH on APRIL 27th. I will take the payout! PCHFrontpage Search Now I’m claiming and activate my entry to win $7,000.00 A Week For Life GWY#11000 plus $25,000.00 cash “Set For Life” GWY#10074 on April 27th. Hello dear PCH please confirm my entry for I want to win this $7,000.00 a week for life Gwy no 11000 on April 27th. Thanks PCH. Hello dear PCH please I ‘m searching for a chance to win this prize $7,000.00 a week for life Gwy no 11000 on April 27th. Thanks PCH for everything. God bless. Hello dear PCH please Confirm my entry for a chance to win this prize $7,000.00 a week for life Gwy no 11000 on April 27th. Thanks PCH . I need many entries as possible to win the $7,000.00 a week prize – 11000. Confirm my entry l want to win this $7,000.00 a week for life Gwy no 11000 on April 27th. Thanks PCH l really want to win. ACTIVATE UPGRADE FROM $7,000.00 A WEEK FOR LIFE TO $7,500.00 FOR PCH GWY 1100 ON APRIL 27TH! Win $7,500.00 a week for life superprize. Hello dear PCH please confirm my entry I would love to win this Upgrade prize of $7,500.00 a week for life Gwy no 11000.00 on April 27th. Thanks PCH. yes i will like to win the big one on 4/27. Yes, I would love to WIN $7,000.00 A WEEK FOR LIFE PLUS $100,000.00 CASH PRIZE! Hope to PCH soon. I would love to win $7,000.00 a years for life i been waiting 50 some years .God bless me and my family is 8800 my lucky numbers? Thank you all. PCHFrontpage Search Now I want to claim and activate to win $7,000.00 A Week For Life GWY#11000 on April 27th. Hello dear PCH please confirm my entry for this tracking report PCH 1504 entring processing prize number Insurance that was sent to me , please l want to win this $7,000.00 a week for life Gwy no 11000 on April 27th. Thank you guys so. Hello dear PCH, please confirm, and processes my entry ASAP for m search on this entry, l would love to selected the winner for this $7,000.00 a week for life Gwy no 1100 On April 27th. Thanks PCH. Hello dear PCH, please confirm,and declare my final entry eligibili to win this $7,000.00 a week for life Gwy no 11000 On April 27th. Thanks PCH. life time prizeplease pchactivate my new prizes and yes will accept my responsibility as owner. How many times do you have to repeat the same search over an over again. Yes it would be nice to WIN $7,000.00 A WEEK FOR LIFE. Hope to see PCH on APRIL 27th. Please enter my entry to win $7,000.00 a week for life. Thanks! PCHGWY#8800 WANT TO WIN $7,000.00 A WEEK FOR LIFE ON APRIL 23,2018 IT WOULD BE A DREAM COME TRUE FOR MY FAMILY SO THANKS FOR THE OPPORUNITY TO WIN AND PLAY GAMES, AND WIN ! I want to claim sole ownership for gwy 11000. 7,000 a week for life. I want to win so bad. I want to claim sole ownership for super prize number. I claim complete compliance. YES I PUT YEARS FOR $7,000.00 BUT I MEANT WEEKS MISTAKE I AM SO NERVOUS I PUT THE WRONG THING. YES WANT TO WIN $7,000.00 A WEEK FOR LIFE ON APRIL 23, 2018 #1100 $10 MILLION DOLLARS GIVE AWAY PLUS $3 MILLION DOLLARS FORD EXPLORER VALUED AT $34,000.00 PLUS $1 MILLION A YEAR FOR LIFE . IT WOULD BE GREAT FOR US ARE MIDDLE CHILD IS GRADING FROM HIGH SCHOOL NEXT YEAR. AND WOULD HELP WITH HER SENIOR PICTURES. AND WE WOULD LIKE TO BUY OR BUILD A HOME. SO THANKS AGAIN FOR THE OPPORUNITY TO WIN SOON. PCH I AM CLAIMING MY PRIZE PATROL PARTY WITH YOU ON APRIL 27 2018 WITH THE KNOCK KNOCK NO MY DOOOR TO START. TO WIN 7,000.00 A WEEK A, GWY NO. 11000 THANK YOU PCH SEE YOU SOON. Yes I want to win the $7,000.00 on April 27th. I want to Claim my Entry and Accept Immediate Ownership Prize Numbers To Win $7,000.00 A Week For Life On April 27th! PCH Gwy# 11000. I would love to win and take a vacation somewhere warm. That is alot of money $7,000.00 a week . When you do this everyday it is easy to repeat yourself but I try to say what is in my heart.Warm is what I would like to do.I also would be very thankful tp PCH. PCHGWY#11000 LIKE TO WIN $7,000.00 A WEEK FOR LIFE ON APRIL 27, 2018 PLUS GET $10 MILLION DOLLARS THEN WHAT EVERY THING THAT GOES WITH THE PRIZE.IT WOULD BE A GREAT DEAL TO ARE FAMILY WIN THE MONEY. WE ARE PLAIN ON BUILD A HOME IN HUMBOLDT,IOWA. AND ARE MIDDLE CHILD IS GRADUATE FROM HIGH SCHOOL NEXT YEAR AND HER PICTURES AS WELL. AND WE GOING ON A TRIP SOME WHERE WARM WE NEVER BEEN ON A TRIP BE FOR SO IT WOULD BE FUN FOR US. THANKS FOR THE OPPORUNITY TO PLAY AND WIN? Hello Pch, I will like to win and enter my gwy. #11000 to win $7,000.00 a week for life and if I do win I will thank you and thank God for blessing me for winning. Thank you for giving me the opportunity to play the games. I want to win the 7,000.00 a week for life from PCH GWY number 11000 it will be my first time winning this. I want to win this amount for my family and people who really needs help I would like to give to the wounded warrior foundation because I am a veteran and the Danny Thomas kids that has cancer and the parents do not have to pay anything but love their children to help them fight the cancer they have also help the Ascp for animals that is treated wrong with cruality and hunger have to go they which they should not have to go through. PCH I I Play and Pray Everyday That My Name is On The Selection List If I Won I Think I Would Faint. I would love to win I been tryin for a longtime. I want to Claim my Entry and the Final Step To Win $7,000.00 A Week For Lifetime At Stake! PCH Gwy.No. 11000. Today for the Family and me. 21 April 2018 RG. Pchgwy #11000 yes I want to win on April 27,2018 a week for life it would be the best thing could happen to m! Sents i meet my husband 25 years ago! If we win going to build a home in Humboldt,Iowa. So thanks for the opportunity to play and win. Barbara Giganti, West Allis, WI. “Apt 432” is not on my Application! I would love to WIN PCH $7,000,00 A WEEK FOR LIFE, GWY 11000 ON 4-27-18. ALSO PCH GWY 8035 $1,000,000.00 SUPERPRIZE ON 6-1-18! I AM A VIPELITE AND PLAY EVERYDAY I CAN!!! WITH THE $$$ I WOULD WIN I WOULD HELP A NAVY MAN WHO ISDISABLED AND IN GREAT PAIN MOVE OUT OF A HUD BUILDING AND GET A HOME THAT WOULD ACCOMODATE HIS SCOOTER HE RIDES! TOM’S ONE BEDROOM APT HERE DOES NOT FIT HIS NECESSARY NEEDS! THE HOME I WOULD BUY WOULD CONTAIN A “WALK IN BATH TUB” AND PRAY IT WOULD HOLD HIS 340 LB OF WEIGHT AND HIS 6’5″ HEIGHT! TOM WAS DEFINATELY AN ASSET TOTHE NAVY & OUR COUNTRY THROUGHOUT HIS LIFE!!! HE HAD TOP SECURITY CLEARANCE LIKE GENERALS AND ADMIRALS -BUT SIGNED ON AS A TIN BENDER-MAINTENANCE MAN! PLEASE ALLOW ME TO WIN SO I CAN HELP A DISABLED VET- HIS IQ IS OFF THE CHARTS!!! Yes I would love the be the winner of the $7,000.00 a week for life. Hello dear PCH please consider my entry this is the last day of entry, please confirm my entry and come to bless me . You guys have the blessing in your hand. I really need one from you guys. Please please dear PCH. And l thank you guys for coming good job doing all this to help people leave a batter life. Please dear PCH l want to win this $7?000.00 a week for life GWY no 11000 on April 27th. Thanks PCH May God bless you guys for me. YES, I WOULD LOVE TO WIN $7,000.00 A WEEK FOR LIFE GWY NO. 11000 ON APRIL 27TH.!!! & WIN $50,000.00 (PCH) GWY NO. 10425 !!! THANKS! After reading many messages from different people, I realize that everyone wants to win. I feel the same way also. However, I realize we cannot all win and as a result, I better make mine short and sweet. But how can it be sweet and everyone wants the same thing? Well, you get the message and keep on smiling, that’s sweet—SMILE SMILE SMILE! VIP pchgwy #11000 want to win prizes on April 27,2018 $7,000.00 a week for life plus win $50,000.00 a $1 million dollars it would be a true blessing for are family to win the big checks. So thanks again for the opportunity to play and win. It would be nice to have money and not have to borrow money from friends and family. Thanks again. PCH Yes I Love to Be The Big Winner on April 27, 2018. Yes I would like to be the winner of the $7,000.00 a week for life on April 27th. I’m claiming pch $7,000.00 a week for life gwy. No. 11000. Pch search #1-4 for the 2018 Ford Explorer Plus $10,000.00 cash. I want to win it all. I Want To Win The 7,000 A Week For Life So I Can Help My Family, Friends, Saint Judes, Pay My Bill’s & Look For A New House. Want To Enter GWY 11000 for 7,000 A Week for life Plus Bonus 50,000 PCH. Yes I would love to win $7,000.00 a week for life = $10,000.00 cash from PCH. Yes I would like to win $1 Million +$7,000.00 A week for life + Win $10,000.00 CASH from PCH. I claim my entry. Yea I want to won $7,000.00 a week for life+$10,000.00 CASH! pch data number on file 73******** & 83******** bulletin 18P401 for “Forever” Gwy. No. 11000. 25000 a week for life! PCHSearch&Win:Loyalty Recognition Update:Button #3/6:I claim my Entry to Win $7,000.00 a Week for Life. I’m dreaming of winning the $7,000.00 a week for life. When I wake up, I hope to see Danielle, Dan and Todd in person. It will make my dream come true. I have so much good planning what I would do if I win. I am claiming and searching for a chance to win $7,000.00 a week for life on December 21st. I would love to win $7,000.00 a week for life. It will help me to have my dream come true. It will do a miracle for many people. It’ll do wonders for a lot of well deserved people. It would be wonderful to win the $7,000.00 a week for life. I would like to show my gratitude to all those kind people that has helped me when I needed help. It would be a blessing miracle to win $7,000.00 a week for life. Not only helping myself and family but to enable me to help the well deserved people. The wounded soldiers, blinded Vets, “Smile Train” (children born with defected facial and needed surgeries), to donate to my faith, etc. It would be a miracle to win $7,000.00 a week for life. If I should win the$7,000.00 a week for life it will really make my dream come true. I would love to win the $7,000.00 a week for life. This will finally give me an opportunity to repay the kind people that has helped me when I needed help. It will give me an opportunity to show my gratitude. I will have a luxurious place to celebrate with a very, very special kind of a dinner for everyone. I would like to win $7,000.00 a week for life. After working 63 yrs. and retired at age 80. Finally I feel secure. Not only I can help my family but also put a lot of smiling faces on many well deserved people. The wounded soldiers, blinded Vets, “Smile Train” (children born with defected facial and needed surgeries), to donate to my faith, etc. It’s a dream of a life time to win $7,000.00 a week for life. I’m dreaming to win the $7,000.00 a week for life. When I wake up I hope to see Danielle, Dave and Todd at my door with a giant check. I am in it to win it all on December 21st it would mean so very much. The main reason I would love to win is not for me as much as who I can help. Let me see I would like to win it all not said before. I know computers are smart but please . I am in it to win. PCH search&win please accept my VIP ELITE entry to win $7,000.00 a week on December 21st. Yes I want to win $7,000.00 a week for life from PCH. I want to win the $700,000.00 from PCH. It can do a great thing for the well deserved people. I would like to win$7,000.00 a week for life. It’ll not only helping myself & family but to enable me to put a lot of smile on many well deserved people. I would like to dream I’ve won the $7,000.00 a week for life. And when I wake up I hope to see Danielle, Dave & Todd at my door with a giant check. I would like to win $7,000.00 a week for life. Not only helping myself, after working 63 yrs. & to help my family but to enable me to put a lot of smile on many deserved people. The wounded soldiers, blinded Vets, “Smile Train” (children born with defected facial and needed surgeries), to donate to my faith, etc. Helo, Pchfrontpage at I am ready to receive them with the great prize $8,000.00 a Week for life (Gwy #11000) on December 21,2018. PCHSearch&Win:Upgrade Activation:I Akiro Joseph enter here to go for this Upgrade Prize Amount that is only valid here until Midnight 11:59 tonight and I claim my Entry to Win this Upgrade Prize Amount $8,000.00 a Week For Life on Dec 21st. Yes I Want to win PCH $8,000.00 A Week For Life Special Up Graded Prize At STAKE! D.H. Yes I would love to win the $7,000 a week forever price it would be a dream come true for me and my family and I would love to be Publishing Clearing House winner from New Jersey yes.! I want to win the $7,000.00 a week for life. It will make my dream come true. I have great plan if I should win. I would like to win $7,000.00 a week for life. It would enable me to repay the kind people that has helped me when I needed help. It is a blessing to show gratitude. I would love to be the Publishing Clearing House winning person of the $7,000 a week for life and upgraded to $8,000 a week for life and bring it home to New Jersey as the Publishing Clearing House winner from New Jersey.! Yes I want to Win $7,000.00 A Week For Life! PCH Gwy.No. 11000. 06Nov18 RG. I would like to win $7,000.00 a week for life. It’ll make may dream come true. I would love to win the $7,000 a week for lifea new development in my life with health insurance my job remove Blue Cross Blue Shield and I’m in New Jersey and the new insurance doesn’t work I would pay but I don’t have that kind of money call insurance for me and my son and my wife is very expensive so I’m struggling I would pay if I had that kind of money will help insurance. If I can win the $7,000.00 a week for life is like a miracle dream. A dream of a life time. Can enable me not only helping myself & family but to put a smile on so many well deserved people. It is a blessing to show love in your heart. I would really like to win the $7,000.00 A WEEK FOR LIFE! Yes I would love to win the 7000 a week for life it would be a dream come true for me! PCHfrontpage please accept my 2X VIP ELITE entry to win $7,000.00 a week for life gwy #11000please enter me and my prize number in now Thanks. NO. 1462 0693 6213 and validate its entries to win $7,000.00 a week for life from GWY # 11000 plus $1,000,000.00 from GWY # 18000. I am searching for the win of $7,000.00 a week for life on December 21st, 2018. Kindly active my entry and grant me that opportunity for the win!! I am searching for the win of $7,000.00. Its about time I win one of PCH Prizes. PCHSearch&Win:Official Entitlement Decree:Entitlement #2of7:I am Pleased to claim my Entry for a Chance to Win $7,000.00 a Week For Life Plus $10,000.00 Cash Blowout From PCH Gwy,Nos,11000 & 12361. I am claiming all 6 chances to win $7,000.00 a week for life PLUS $10,000; Cash. Please active my entry so I can have that opportunity. Ollie want to claim 6 shot to win $7,000.00 A WEEK FOR LIFE From PCHfrontpage Plus $10,000.00 in Cash Blow Event PCH. GWY . 12361! I understand all of your requirement are to get customers to purchase your products, and the trickery you use to con what you hope to be your future customers but people aren’t as ignorant as you believe them to be. Yes I would love to win the $7,000 a week price and the dream home prize it’s the Sweepstake that drove me to start playing with a 3 million dollar home prize this is my dream come true is to win this. Yes I would like to win $7,000.00 a week for life. I agree with the rest of the people. I too want to win the $7,000 a week for life. I too agree with others in winning the $7,000 a week for life. I don’t want to see anyone else to win the money. Yes I would like to be the winner of the $7,000.00 a week for life. It would be a great blessing to me and my family to win this. I am searching for that chance to win $7,000.00 a week for life on December 21, 12018. Yes I really want to win!!. Make me a winner! I want to claim 8800 in it to win December 21st sweepstakes from Alabama this would be the biggest dream and Gods amazing blessing of a lifetime give my babies the life and future they deserve. Thank you for everything may God bless you all. Merry Christmas to everyone at pch! I Give Anything To Be A Big Winner So I Can Pay My Mortgage Off, Help My Family & Saint Judes Hospital Children. I Give Anything To Be A Winner I Pray Everyday. I Hope I Am Picked As A Winner Soon. PCH have to offer. I would gratefully appreciated it. win 7,000.00 a week for life from pch gwy number:11000 my family and I really need the help thank you diana mosley. PCH. I would love to win, so I enter with the aim of wining a $7,000.00 a week for life from GWY#11000. Thanks. Yes I am so ready to be the winner of $7,000.00 a week for life on December 21st. That would be a great Christmas Gift for me and my Family. Yes, I would like to win & Im entering to win the sweepstake prize of $7,000.00 a week for life on December 21 2018. I would love to win This $7,ooo..00 For life prize. It would enable me to pay of repairs I have had to do on my house, leave a legacy for two of our needy children, and finally help a very good friend to pay to have her roof replaced. I just do not like being in debt to anyone. I want to be the winner of the $7,000.00 a week for life. It would be such a blessing. Many good wil come out of this. win 12 entries to win $7,000.00 a week for life. PCH.com make all my dreams come true for myself and my family. Have the prize patrol come to my home and deliver to me personally the big check for $7,000.00 a week and l will be the happiest man alive. DECLARATION OF ENTITLEMENT TO WIN $7,000.00 A WEEK FOR LIFE ON DECEMBER 21,2018! I was just thinking why not me I could use the money with helping fix back my basement that had to be torn up because of water. So $7,000.00 a week sure would come in handy.been working on it for almost 2 months. PCHSearch&Win:Declaration of Entitlement:I Akiro Joseph Enter to claim and complete my requirement and eligibility Ownership of all the Prize Numbers assigned to me to Win $7,000.00 a Week For Life(1861 6755 5915)(176633946918)(1768 4118 3211)(1967 2252 9717)(9162 9477 4919)(1163 3619 7218)on December 21st. win $7,000.00 a week for life on december 21st 2018.i am ready to win for the 2018. Make me one of Publisher Clearing House Winners this December 21st. $7,000.00 a week for life will be amazing for me and my family. looking to be a milliionaire for gwy 12655, 11100, 18000 and 10 million gwy. 8800 & 11000 for december 21, 2018! win $7,000.00 a week for life on december 21st. im in to win big.i would love to help out my family and help out more with my friend to help buy warm blankets ,hats, coats and socks for the homeless. win $7,000.00 a week for life. i would love to win this christmas 2018. I am so ready to win $7,000.00 a week for life! surprise me on December 21st, 2018. Let me be one of the winners this time. I,Mr Matthew Boin,claim prize NO. 79 1537 8557 and validate its entries to win $7,000.00 a week for life from GWY 11000. I would like to Win $8,000.00 a week for life. PCHfrontpage I would greatly appreciate if you would have the prize patrol deliver to me personally $7,000.00 A Week For Life on December 21 and makee the happiest man in the the town of Belmont NC. Prizes on December 21st, 2018 OR $7,000.00 a week for life will be gratefully appreciated. It would be nice to be the next Publishing Clearing House superprize winner for the $7,000 a week for life the $1000000 cash price the big check this would be a dream come true for me and my family to be able to do for them and maybe help others it would be a miracle come true. NEW OPPORTUNITY TO WIN $7,000.00 A WEEK FOR LIFE FOR MY FAMILY AND THE ST JUDE CHILDRENS HOSPITAL ON DECEMBER 21ST! I,Robert would like to claim 7,000.00awk forlife on Dec 21 2018 as the winner vip, pch, elite exclusive Thanks pch, vip ,elite, exclusive, Robert Dec 16 2018 9:39 a.m. Please come knocking at my door on December 21st. I,Mr Matthew Boin, claim prize NO. 79 1537 8557 and validate its entries to win $ 7,000.00 a week for life from GWY # 11000. Yes I wished you went $7,000 a week for Life prize with my PCH GWY.NO.11000 YES. YES.! Yes I would love to win the 7000 a week for life it would be a dream come true for me and my wife are kids. PCHSearch&Win:Last Day to Enter:Button #2/10:I Enter to claim my Entry to Win $7,000.00 a Week For Life on 12/21st. Yes I would love to win the 7000 a week for life it would be a dream come true for me. 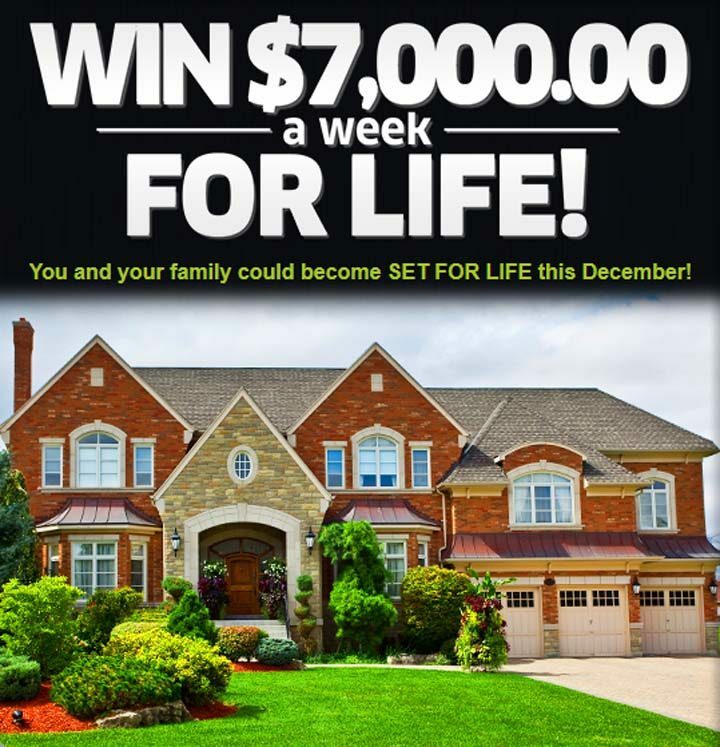 win $7,000.00 a week for life on december 21st. FIRST OF ALL THANKS FOR SUCH AN HONORING SURPRISE TO KNOW. THIS IS FANTASTIC. I WOULD BE SO GLORIFIED TO WIN SUCH A WONDERFUL GIFT. THANK YOU THAT IS SO BEAUTIFUL AND CREATIVE. Please give them some money from all this people already played all in the past or all of them. But for me will be the last one. Please pch..love you all..Just two thing that i really really love..it’s 2 forever price. It’s 10,000 every week for life and 1 million in every year for life. That’s all what i want nothing more. That only what I love..love you all..
Kindly give me at chance to win $7,000.00 a week “Forever” on February 28th, 2019. Yes I would love to win the $5 000 a week forever prize it would be a dream come true for me and my wife are kids. Eso win 7,000.00 a week for life que alegría poder ganar me hacen mucha falta pagar todas mis deudas que me tiene agobiada y mis sueños comprar mi casita . Eso win 7,000.00 a week for life que alegría poder ganar me hacen mucha falta pagar todas mis deudas que me tiene agobiada y mis sueños comprar mi casita .Que más puedo decir me siento feliz a ver si gano nunca había concursando es mi primera vez que si puedo ganar. I would love to win 7,000.00 a week for life. Thanks PCH I’m to win this prize opportunity award of $7,000.00 a week for life on April . PCH SEARCH NOW PLEASE @ PCH FRONTPAGE, GET IN TO WIN $7 000 00 A WEEK FOR LIFE! AT STAKE, PRIZE PATROL WILL COME KNOCK ON MY DOOR AT: 2529 E. LAKE SHORE DR. .PCH SEARCH NOW TO WIN 20 NEW…IS GUARANTEED. INSTANTLY.-CASH PRIZE WINNERS. I, BEVERLY BANJURA, WANT TO CLAIM FULL ELIGIBILITY TO WIN WITH UNIQUE PRIZE #8379-3079-4314 PLUS, UPGRADED $7 000 00 A WEEK FOR LIFE! TO $8,000.00 A WEEK FOR LIFE! ON 4/28/2019 EARLY LOOK. YES, I’M A VIP ELITE DEDICATED PLAYER SINCE 2004. THANKS PCH. YES ! I WOULD LOVE TO WIN $7,000.00 A WEEK FOR LIFE ! PCH GWY #11000. THANKS FOR THE OPPORTUNITY TO ENTER AND WIN IN ANY AND ALL OF YOUR CONTESTS ! I WOULD REALLY LIKE TO WIN TO SAY HA HA TO MY HUSBAND AND TO AISO HELP OUT MY MOM AND CILDREN AND MOSTY US FRIST THEN THEM ! Please active my entry for the up-grate of $8,000.00 a week for life on April 26th. I really need to WIN ONE of Publisher Clearing House Prizes. WIN $7,000,000.00 FOR MY FAMILY DREAM HOUSE! Pch disbursement #0087704 fund our winners to be released to trensfer of fund alert stat of entries form 1-28-19 is complete for 5000.00 aweek for lifetime brenda prize fund on 3-8-19 6 seraches complete beind on April 26 2019 you are authorized to tansfer lifetime funds into a superprize gwy 11000 into to abank account i could be the winner than-you pch…br ther e are 2 prize numbers…. Yes please, I would love to be the mega prize winner.I would like to claim my 10x entry for the 7,000.00 a week for life. WIN $7,000.00 A WEEK FOR LIFE PLUS $25,000.00 CASH BONUS! FOR FAMILY AND ST JUDE CHILDRENS HOSPITAL! I would love to be the winner of the $7,000.00 a week for life from PCH. I would love to win this sweepstakes and give my broken and aging body a much needed rest. I want to Claim my Entry To Win $7,000.00 A Week For Life Plus $30,000.00 Bonus! PCH Gwy.Nos. 13000 and 13001. For the Family and me too. RG 2019Mar28. I want to Claim my Entry To Win $7,000.00 A Week For Life Plus $25,000.00 Extra Bonus Prize! PCH Gwy.Nos. 13000 and 13001. For Family and me. RG 2019Mar27. I want to be set for life $7,000.00 a week for life April 26th plus $25,000.00 EXTRA. Its about time I WIN One of Publisher Clearing House Prizes. Yes please PCH, I would like to clim all the numbers GWY# 11000, GWY#18000,GWY#11475, GWY#10078,GWY#13000,GWY#10074,GWY#11936,GWY#10079,GWY#12855,GWY#13435,GWY#13436. This is beginning to be so exciting that if it’s me I’m going to be running up and down the halls of apt building. It would also be an honor to be on the frontpage of the PCH. Well PCH that’s alot of GWY#`s that I would be grateful for just one. Yes please PCH, I would like to claim all the numbers that I have received during this PCH drawings GWY# 11000, GWY#18000,GWY#11475, GWY#10078,GWY#13000,GWY#10074,GWY#11936,GWY#10079,GWY#12855,GWY#13435,GWY#13436. This is beginning to be so exciting that if it’s me I’m going to be running up and down the halls of apt building. It would also be an honor to be on the frontpage of the PCH. Well PCH that’s alot of GWY#`s that I would be grateful for just one. SEARCH TO WIN $7,000.00 A WEEK FOR LIFE PLUS $50,000 PCH PRIZES FOR FAMILY AND THE ST JUDE CHILDRENS HOSPITAL!!! I want to Win $7,000.00 For Life on 4/26/2019. I have played and purchased so many items and I think it`s time to win. Yes please, I would like to claim my $7,000.00 a week for life. PCH that house is looking like the one I want or would like to have. Wish everyone luck. Yes please, I would like to claim my $7,000.00 a week for life. PCH that house is gorgeous, its absoluty beautiful. I would just like to wish everyone good luck. Yes I want to win $7,000.00 a week for life PCH ! PCH I Want claim the winning number $7,000.00 a week for life! (PCH.GWY.NO.13000! I Amanda Kaufman want to win the $7,000 A WEEK FOR LIFE! Prepared for award!! !DELEVERY SCHEDULED! REWARD PRIZE TO WIN $7,000.00 A WEEK FOR LIFE! TODAY’S PCH OPPORTUNITY FOR AND UPGRADE FROM $7,000.00 TO $14,000.00 A WEEK FOR LIFE FOR MY FAMILY AND THE ST JUDE CHILDRENS HOSPITAL!!! $14,000.00 UPGRADE FROM PCH FROM $7,000.00! MAX PRIZE UPGRADE $14,000.00 A WEEK FOR LIFE FOR FAMILY AND THE ST JUDE CHILDRENS HOSPITAL!!! I Am Claiming the 14,000 A Week For Life Prize Upgrade. I Would Love To Win 14,000 A Week For Life. I Am Claiming the Upgrade for Week For Life. PCH …….YES I WANT TO ACCEPT MY UP GRADE FROM $7000 WEEK TO $14,000 WEEK ! I would win me my family and poor children. I,Mr Matthew Boin, claim prize NO. 7349873592 and validate its entry to win $ 14,000.00 a week for life from Gwy # 13000. EVERGREEN OPPORTUNITY TO WIN THE MAX UPGRADE FROM 7,000.00 TO $14,000.00 A WEEK FOR LIFE FOR MY FAMILY AND THE ST JUDE CHILDREN’S HOSPITAL ON APRIL 26TH!. SEARCH 1 TO WIN PCH SWEEPSTAKES $14,000.00 A WEEK FOR LIFE FOR FAMILY AND THE ST JUDE CHILDREN’S HOSPITAL. SEARCH 2 TO WIN PCH SWEEPSTAKES PIT OF $14,000.00 A WEEK FOR LIFE FOR FAMILY AND THE ST JUDE CHILDREN’S HOSPITAL. I Am Claiming The 14,000 A Week For Life PCH. WIN PCH $7,000.00 A WEEK FOR LIFE PRIZE FOR MY FAMILY AND THE ST JUDE CHILDREN’S HOSPITAL. I Amanda Kaufman to want to claim and transfer prize number to winner imminent selection list and be the winner of $7,000.00 a week for life!gwy#13000 for the special early look event in April 2019! Activate my 5X chances to win the $5,000.00 a week for life offered by your email this date. P C H Personnel , hope to see you soon naming me the winner for the $7,000 a week for life . Please except this search entry. SEARCH 1 FROM PCH EVERYDAYLIFE TO WIN $7,000.00 A WEEK FOR LIFE ! SEARCH 2 TO WIN THE PCH EVERYDAYLIFE OF $7,000.00 A WEEK FOR LIFE FOR FAMILY AND THE ST JUDE CHILDREN’S HOSPITAL. SEARCH 3 TO WIN THE PCH EVERYDAYLIFE SUPERPRIZE OF $7,000.00 A WEEK FOR LIFE FOR FAMILY AND THE ST JUDE CHILDREN’S HOSPITAL.